Al Lamb’s Dallas Honda - The new CRF1000L Africa Twin is the bike that adventurers have been waiting for; A bike that can take you wherever your adventures wander. The new 998c parallel twin motor uses a unique four valve Unicam cylinder-head design, that translates into a smooth and tractable power. The Africa twin comes in either a six-speed manual gearbox, or a new Dual Clutch Transmission with a a selectable on or off road mode. Both versions comes with ABS standard with a rear brake ABS on/off switch and Honda Selectable Torque Control (HSTQ). This bike has been the long anticipated dual sport competitor that Honda riders have been craving, and the Africa Twin was built for maximum durability off road riding. Utilizing its substantial ground clearance, tough aluminum skid plate, light weight steel frame, and various light weight parts, the Honda Africa Twin is easily able to maneuver through various challenging off-road sections. 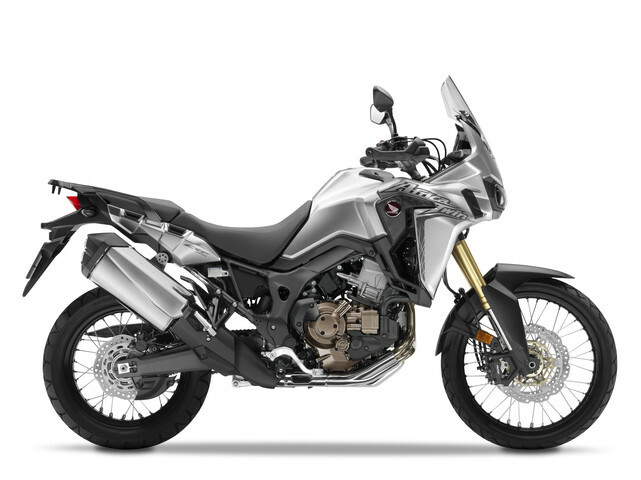 In addition the Honda Africa Twin offers the most suspension travel available in its class, with 9.1 inches for its inverted 45mm fork and 8.7 inches for the rear wheel. With adjustable damping and compression on both ends, tube tires, aluminum wire-spoke wheels, and hollow axels, the Honda CRF1000L took no shortcuts on its route to become the highest quality adventure bike available.